At Can-Nor Electric we have many years specializing in custom home audio, using only the most quality of components. We can find a solution for your home audio needs while catering to your lifestyle and personal preferences. Furthermore, whether you’re looking for audio in all your rooms, or just sound in your main entertainment space, we will make your home sound spectacular. Multi room audio lets you enjoy the music you want in any array of rooms with ease. Easily link rooms together to get a full house experience with zero latency between rooms. Each audio system is completely automated and can be controlled from any location. You will now be able to access your system from various devices such as in wall keypads, as well as your smartphone. Feeling nostalgic? Finally, you can now play those old records you’ve been storing for so long. Have fun listening to music in any room while you work, cook or play. We can fully integrate anything from record players, media libraries, and any streaming website to broadcast throughout your home. 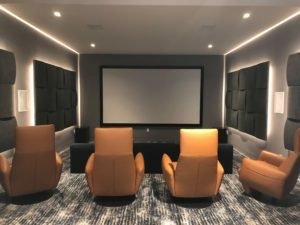 Can-Nor Electric Ltd. has many years of experience with home audio design and can design a custom audio system for your home cinema, listening room, and outdoor spaces. Ultimately, our home audio solutions will transform the way you hear sound! Often times, standard TV speakers aren’t sufficient enough because they do not provide the right balance for your room style. 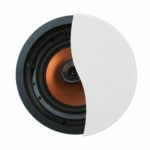 To obtain that memorable in-depth experience, having quality external speakers are a must. Can-Nor Electric provides 7.1 surround or Dolby Atmos to ensure Hollywood production audio quality is preserved. Furthermore, adding some acoustic treatment to a room will make sure any unwanted sound becomes quickly dissipated. For any inquiries about home audio creations and solutions contact us here.